Your Amazon trip initiates in Iquitos, in the northern Peruvian jungle. After a 1.5 hour flight from Lima, we will pick you up at the airport in the afternoon and take you to our private embarkation port in Nauta, where your adventure experiencing exuberance, dramatic scenery and wilderness begins. 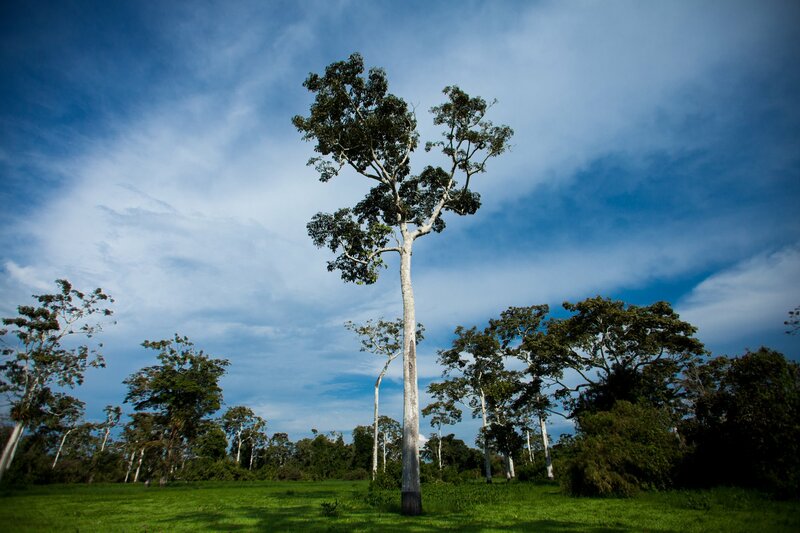 In the Pacaya Samiria National Reserve, you will explore one of the world’s most intriguing environments. We will take you deep into the rainforest, where your guide will point out the exotic creatures and vegetation of the Amazon. In this magical region of the world, flora and fauna are abundant and time seems to stands still. You will navigate the wonderful Amazon River on skiffs and kayaks. Our skiffs are quick to launch, stable to ride, and ready to navigate into the most hidden corners of the Amazon. Paddleboarding, fishing, kayaking and swimming with dolphins are some of the incredible water activities we have waiting for you. As part of your Amazon trip, you will visit the Rescue & Rehabilitation Center of River Mammals (ACOBIA), close to Iquitos, where you will have the chance to meet baby manatees, pet and feed them. 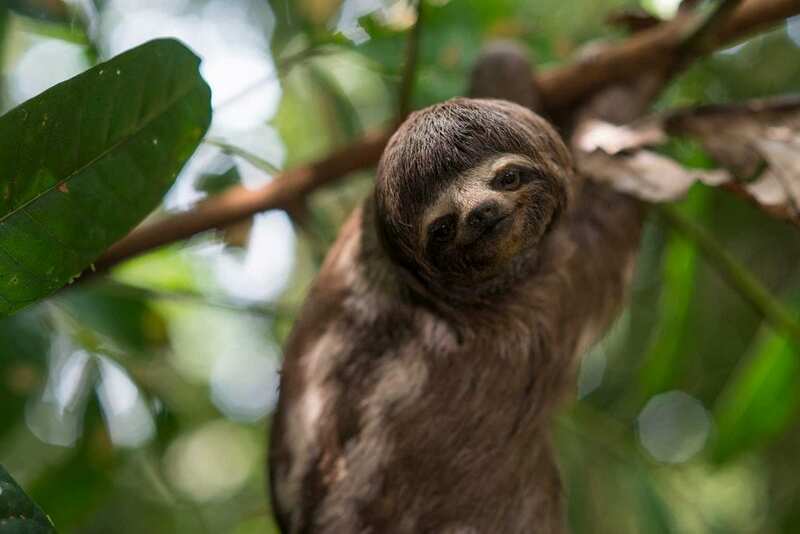 On your visit, you will learn about these wonderful and docile creatures and other endangered animals rescued by the center, like unique monkeys and river otters. In addition to our regular itineraries, we can create a unique, fully custom-designed program just for you and your loved ones. Birdwatching, canopy walking, night expeditions and deep exploration of jungle trails are just some examples of specialized daily excursions we can arrange for your Amazon trip according to your specific group’s interests, skills, and sense of adventure. 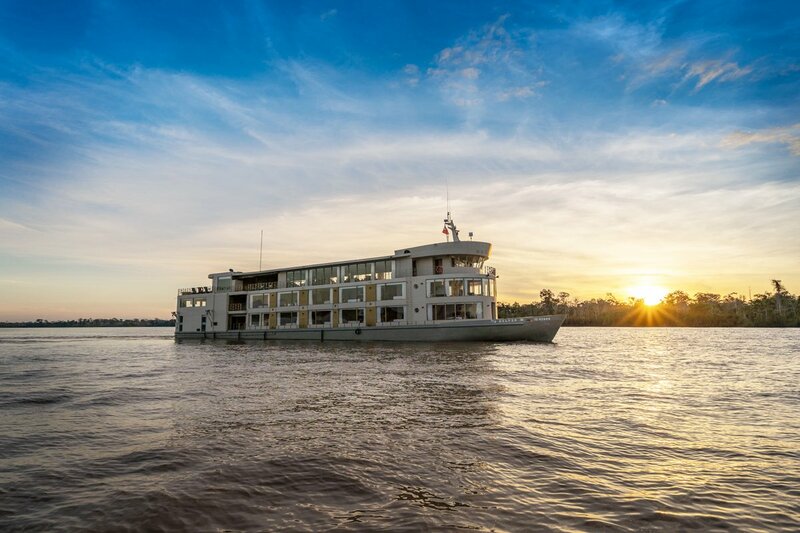 Our full commitment is cruising the Amazon all the while protecting this delicate and precious piece of nature and all the life that inhabits it. 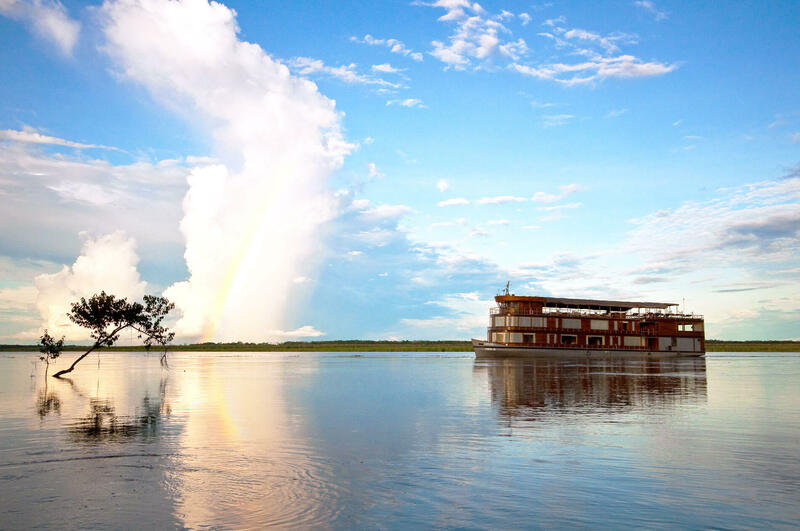 Create a memorable, unparalleled experience in one of the world’s last frontiers in these amazing Amazon trip. For more information on the departure, click here.